Welcome Message from Fr. 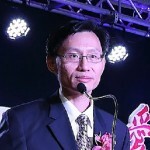 Peter Chin, C.Ss.r. We are here to celebrate our annual fund-raising Gala for Fountain of Love and Life (FLL). This is the 11th year that FLL has turned to our Chinese Catholic Community for financial and spiritual support. 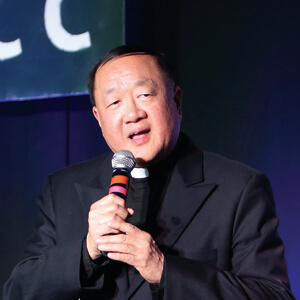 Every year we look forward to this Gala because it is an opportunity for our 5 Chinese parishes in the Archdiocese of Toronto to come together socially to renew our appreciation and commitment to our Chinese Media Ministry. In FLL’s 11 years of development and growth, our own spiritual health has benefited from the many inspiring radio and television spiritual programs, viewing the DVDs and reading the religious books, strengthen in our faith through the spiritual formation programs and lecture series. All these wonderful spiritual gifts and graces are made easily accessible through FLL’s Electronic and Print Ministry as well as its Internet Ministry of YouTube and Facebook. Our Chinese Catholic Community will be always thankful to God for blessing us with these dedicated and responsible Chinese Catholic youths who are shining examples of love and life for our community. They joyfully share their talents, skills, energy and time as volunteers and remain faithful and committed members in their various parish ministries. I hope that more generous youth from our Archdiocese will come forward and dedicate themselves to this Media Ministry of Evangelization. 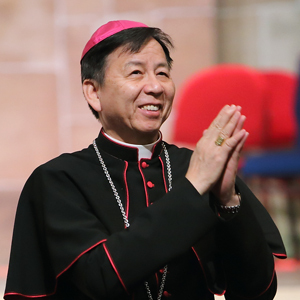 In this Jubilee Year of Mercy, I asked that you join me in prayer to Our Loving and Merciful God to strengthen and empower the staff and volunteers of Fountain of Love and Life so that this Chinese Catholic Media Ministry will continue to build and strengthen God’s Kingdom here on earth and empower our Chinese Catholic Community throughout North America and Asia. It is with great joy that I welcome all of you to this FLL Gala celebrating another year of God’s abundant blessings upon the Chinese Catholic communities in Canada and our zeal to spread the Good News using FLL as a platform. Although I am not able to join this gala in person, my spirit and prayers are with all of you present tonight. This past year we have witnessed such drastic and horrific challenges around the world and in particular the persecutions of Christians everywhere, threatening not only the lives of many faithful followers of Christ, but also their freedom to express and live out their faith. The culture of death has won over the support of many, even Christians, who are confused and it threatens to intoxicate our younger generations with its distorted values. As Catholics, we need to stand up and witness for Christ and the truth and we need to do that in a united fashion using effective means. FLL provides a platform to draw us together and channels to effectively proclaim the truth and the Good News of salvation to many who are thirsting for the truth. I am encouraged that many volunteers in Vancouver as well as in Toronto are working together for this same mission. We rely on your continuous support and generosity to allow FLL to not only continue to sustain its mission but also to have sufficient resources to develop innovative ways and high-quality programming to face the escalating challenges head on. Let us be united in spirit, prayers and actions to build the Kingdom of God on earth! May the peace and blessing of Christ be upon you and your loved ones! “Footsteps of Mercy” reminds us that mercy is not pitying somebody or merely giving money or material assistance. The call to mercy is an invitation from Jesus that begins from our heart – a journey to walk side-by-side with those who are suffering, lonely, confused, lost, sinful or ignorant of God and His love. Those were the same steps that Jesus took. Those were the same steps He commanded us to take. It is in taking those steps of mercy with others that we also begin to discover our own poverty and our desperate need for God and His Mercy. How necessary therefore we must forgive and love one another, for "to love another person is to see the face of God. This year, as we celebrate 11 years of FLL, we also celebrate 11 years of God”s footsteps of mercy with FLL. Thank you Lord for your love and compassion in journey with FLL, sheltering us and growing us. I also give thanks to God for allowing me to work with some many dedicated staff and volunteers of FLL, especially this last year when I can devote a significant portion of my time with FLL. There is such a need today for the world to know of Your Mercy Lord. Send us more labourers in the vineyard of evangelization! May the richest blessings from on high fall upon you, FLL staff, volunteers, benefactors and the people they minister to! Amen! On behalf of Fountain of Love and Life, I would like to welcome you all to this year”s FLL Annual Gala, celebrating our 11th Anniversary of serving the Chinese communities. We thank God for the opportunity to celebrate the Jubilee Year of Mercy with you at this gala, titled “Footprints of Mercy”. We postponed our annual gala from fall 2015 to spring 2016 in order to dedicate our limited resources to organize the Chinese Pastoral Council “Jubilee of Mercy – Canada Chinese Catholic Conference” at the beginning of 2016. We were graced with the presence of Archbishop Savio Hon, who came all the way from the Vatican to bring us inspiring messages on Mercy. Over 1,000 Chinese Catholics participated with great attentiveness and enthusiasm in all the activities at the conference. The thirst among Chinese Catholics for spiritual knowledge and nourishment was evident at the event. In response to the needs of the Chinese Catholic community for spiritual resources and the invitation by Pope Francis to live out the spirit of Mercy in this extraordinary Jubilee, FLL has launched a multimedia campaign “Footprints of Mercy”, which includes weekly mini-courses on mercy in the format of infographics, short inspirational videos and high-impact graphics released on social media. 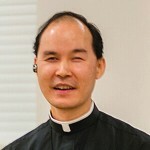 These resources have been widely shared on social media and often shared by priests and ministries in the Hong Kong Diocese. It is encouraging to see that resources that we developed being valued and benefiting a wide audience around the world. On the other hand, it also presents a challenge for us to allocate our resources strategically between new (social) media and traditional media, such as TV and radio. 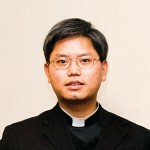 The need among the Chinese Catholic community for spiritual resources and their yearning for spiritual growth gave rise to the opportunity (and demands) for us to develop more resources for Catholics, which essentially is “new evangelization”, as opposed to “evangelization”, which is spreading the good news to non-believers and which has been our primary focus historically. The realization of the needs in the community makes it necessary for us to continuously discern our direction and discover the most effective means to build the kingdom of God with our limited resources. We treasure our annual gala as a time for us to personally meet with our benefactors and supporters, to share our vision and our development, our opportunities and our challenges. The Gala is also a time for FLL to raise the necessary funds to continue the mission that you have entrusted to us. We thank you for your generous support for FLL in the past years and we know we can count on your continuous partnership as we embrace new opportunities that God presents to us. May our merciful Lord bless you and your loved ones in this Jubilee of Mercy!